They still exist out there: the uncomplicated classics that can be easily mixed with very few few ingredients and they do not have lost any of their compelling advantages despite their proud age. Unfortunately, in Germany and also in other European countries outside of the United Kingdom these classics are not particularly well-known; this may be due to the historical distance to the major venues and birthplaces of cocktail culture. So it is time to make a small contribution to their dissemination. The drink, about which I want to write a few lines today, is the London Buck. A simple and understated classic that’s very easy to prepare, nevertheless, it can take a little extra sophistication. The London Buck was invented in the 1920s by Harry Craddock at the famous Savoy Hotel. It is basically build up by only three ingredients: gin, ginger ale and lemon juice. 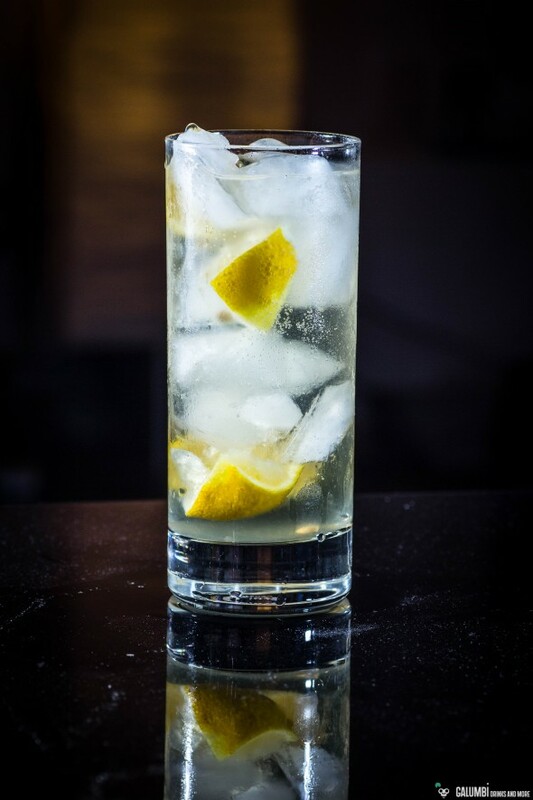 The drink is a typical representative of the highball category and is a very fine and simple refreshment, especially during summertime. Unlike many very popular lemonade drinks or shandies the London Buck is pleasingly low on the sweet side, because the lemon juice takes away a good part of the sweetness from the ginger ale, thus producing a fresh, fruity cocktail with citrus notes and floral aromas. It can be a good choice to use a very flavorful gin, since this may enrich the drinks with additional accents. When mixing the London Buch the classic way merely lemon juice is added to the other ingredients, but if you use some lemon eighths and briefly press them with your muddler inside the glass you will be awarded with some nice additional and subtle notes of citrus oil from the shells. You definitely should try this out. Preparation: First, carefully press the lemon-eighths with your muddler so the juice and some oil come out. Then fill with ice, add the gin and stir briefly before filling your London Buck up with ginger ale. Buying sources: You will find the essential ingredients in any well-stocked supermarket without much problems.